Anna and I are at our first official appointment with the Vanderbilt nurse-midwives this morning. As an ordained person who has to interact with people who have a multiplicity of perspectives, I try to stay out of politics. 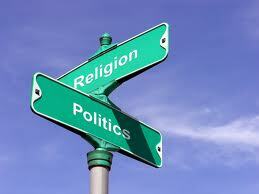 I don’t endorse candidates, I’m registered as an unaffiliated voter, I don’t talk about campaigns from the pulpit. If people want to know what I think on a particular issue they are welcome to ask me and I’ll tell them, but I make sure they know it’s my opinion and my reasons for thinking a certain way. If it’s a moral issue that the Church has a traditional position on, I’ll share that. But that’s the extent of it. A Republican civil war is raging, with righter-than-thou conservatives dominating ever more primaries in a fight for the party’s soul. And the Democrats hope to benefit. The latest examples of conservative insurgents’ clout came Tuesday at opposite ends of the country. In Florida, political newcomer Rick Scott beat longtime congressman and state Attorney General Bill McCollum for the GOP gubernatorial nomination. And in Alaska, tea party activists and Sarah Palin pushed Sen. Lisa Murkowski to the brink of defeat, depending on absentee ballot counts in her race against outsider Joe Miller. Whether one is talking about Democrats or Republicans, there is a tendency for candidates to play to their party’s base during a primary, throwing red meat to partisans who are revealed to be more extreme when taken in the context of the broader public, while they then run toward the middle in the general election. All of this leads to broken promises, frustrated party members and an even more frustrated public as realistic legislation is either never proposed or gets torpedoed by ideology. The political science piece I was thinking about–I’m sorry I can’t recall the source at the moment–suggested that the reason for this disparity between primaries and general elections stems from the very system I appreciate. As more and more states allow unaffiliated or independent voter registrations, it has sapped both political parties of moderates. No longer to people in the middle have to choose whether they are “more Democrat” or “more Republican.” Instead, they can simply remain unaffiliated and still take part in elections. This means that the only motivated participants in party politics are, well, partisans… that is, they are the more extreme members of the electorate and the policies they support reflect this, whether they are conservative or liberal. And the preferences of the people on these extremes then set the agenda for both parties, leaving a vast swath of the American people unrepresented…perhaps by our own unwitting choice. How have we been changed? When I was in college, I once stumbled into a lecture by an art historian talking about Byzantine art. In a side note he commented that people in the West were sometimes snobbish toward Eastern Orthodox Iconography, seeing it as backward and child-like. He observed that this was a misunderstanding of the history of Icons, and the result of a number of assumptions carried over from western art which saw the revival of realism in the renaissance as superior in skill to what came before. It would be a mistake, he argued, to see Icons as primitive because they were less realistic, or to believe that they were not realistic because the artists lacked the ability to portray their subjects realistically. Instead, he pointed out, Icons grew out of the more realistic tradition of Greco-Roman funeral portraiture and that, at least in the East, the artists were capable of presenting a subject in a more realistic manner and simply chose not to. He went on with his lecture, but his comments stuck with me and inspired me to do quite a bit of reading about Icons, their idioms and symbolism. Fast forward to this summer. Anna had already been in California visiting her family for a week or so, and I was preparing to join her for our vacation. “So what do you want to do when you get here?”, the question came. In thinking about it, there wasn’t much beyond going to the beach that crossed my mind. But then I was reading a random article online and saw a reference to funerary portraits, with the image associated with the article being listed as taken from a display at the Getty in Los Angeles. Immediately the remarks of that historian crossed my mind and my interest was piqued. I did some research and found that the Getty Villa in Malibu California is devoted to ancient Greek, Etruscan and Roman artifacts, and that they had a whole collection of funerary portraits. 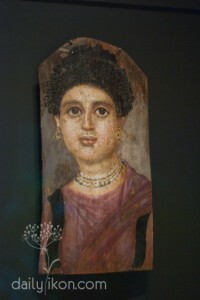 Specifically, they had several examples of mummy portraits from Roman Egypt on display. When I learned this, I knew I had to take the opportunity to see this exhibit, since these mummy portraits are an artistic ancestor of Christian Icons. When most of us think of mummies, we tend to think of Ancient Egypt, but the practice of mummification continued through the first centuries A.D. and was widespread in Roman Egypt. Funeral portraits emerged, which, while realistic in some ways, were also often painted from set patterns, making them easier to produce in higher quantities. For some reason, however, the practice of painting funerary portraits seems to have died out in Roman Egypt by the middle of the third century A.D., which coincides with the rise of Christianity. Once Christianity became the dominant faith tradition, the old art of panel painting continued on in Coptic (Egyptian) and other forms of Iconography, but with some distinctive changes. In addition to standardization for the purpose of conveying specific doctrines, there was also a shift in style. Realism became less emphasized as things became someone disproportionate. Eyes became larger, noses and fingers longer in part to communicate the idea that the figures being presented no longer exist as we do. In paradise their senses will be heightened. Feet are depicted so as not to really touch the ground, but give the slight feeling of hovering, and eyes do not look where one would expect. For example, in many icons of Mary with the infant Jesus, Mary looks not at the Christ Child, but directly at the viewer, locking eyes and drawing us in. Likewise the Baby Jesus is not looking at Mary, but over her head or shoulder, drawing the observer’s attention upward to God. I find all of this very interesting, and one of the things I appreciate about iconography is how conducive it is to “reading,” to considering consistent themes and ways of presenting them. 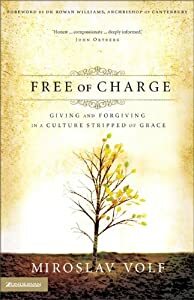 Yet even as I reflect on the ways that Christian theology influenced culture and changed it, I find myself wondering even more: how have my beliefs changed me. 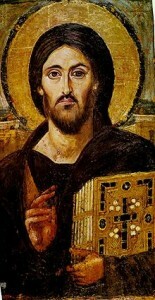 How is the Gospel altering the way I look at the world. That’s a healthy question for all of us to consider. Perhaps considering how the Christian faith has impacted culture might inspire us to consider how it ought to impact our lives.